Buying groceries in today’s Russia is very easy. There are many different supermarkets everywhere with long opening hours. You can find shops that are open 24 hours, and almost all shops are open on Sundays. Let’s review some of them so you can easily recognize them when you travel to Russia. 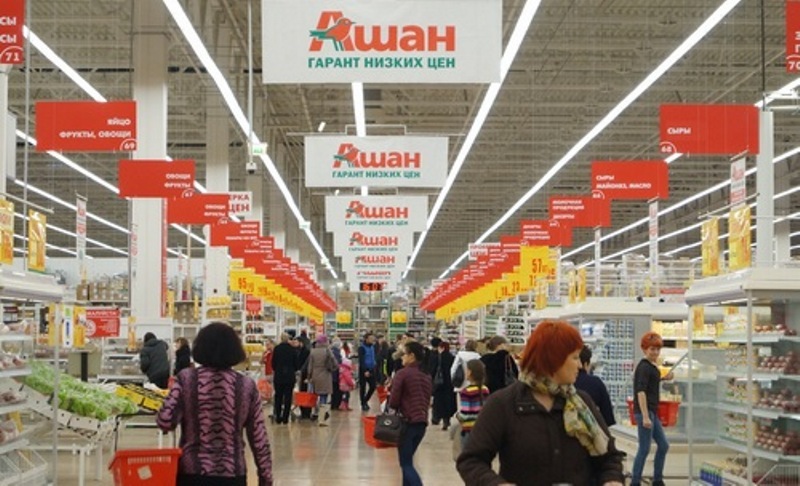 Firstly, the selection in Russian supermarkets is huge – even in the smaller discount supermarkets. Some of the things that you will find many different varieties are dairy products, bread, mayonnaise and chocolate. When you enter a supermarket, you will probably see lockers at the entrance, where you can leave your items if you have big bags or bags from other stores with you. The lockers are free to use. It is not uncommon that supermarkets have security guards at the entrance and exit. They may ask you to place your bag in the lockers. When you pay, you will probably first be asked if you would like a bag (‘paket nuzjen?’ – ‘пакет нужен?’). Therefter, you will be asked if you have a bonus card (‘u vas est’ nasha karta?’ – ‘у вас есть наша карта?’), which all supermarkets offer. Finally, you will be asked if you want to pay by card or cash (‘kartoi ili nalichniimi’ – ‘картой или наличными’). Now let’s look at which supermarkets you will find in Russia. Pyaterochka means ‘little five’ and is a discount supermarket. They have all the necessary groceries at good prices. Pyaterochka stores are small and are found everywhere, as there are more than 10,000 of them in all of Russia, of which 800 are located in Moscow. They are easy to recognize with their bright red and green facade. Magnit stores have a red/white facade as shown below. 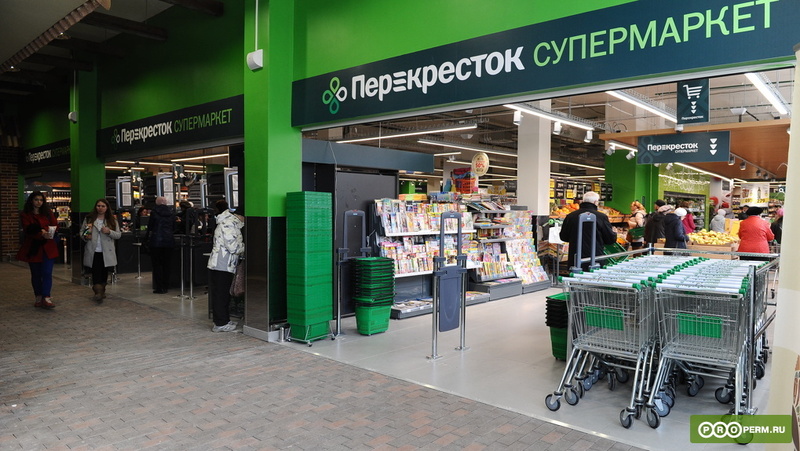 Perekryostok means ‘crossroads’ and is a supermarket chain. The product range is quite larger than in Pyaterochka and Magnit, and in addition, the stores are also bigger. There are around 550 stores throughout Russia, of which 360 are located in Moscow. The shops can easily be recognized with their green facade. Achan is a discount hypermarket. It’s huge and they have a gigantic selection of groceries and non-food. 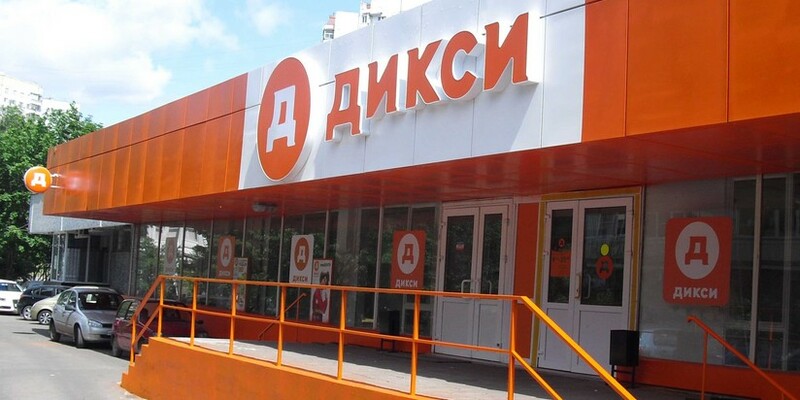 There are around 100 stores throughout Russia and they are usually located a little outside the city center or as part of a larger shopping center. Recognize the shops with the red facade and the bird logo. Bahetle is a Tatar supermarket chain, mainly found in Kazan, but has also opened a few stores in Moscow. The Bahetle stores are amazing with a wide product range of high quality groceries. One of the unique things about the Bahetle stores is the bake-off range, where you can buy all traditional Tatarish pastries. In addition, they also have delis with freshly prepared salads, sliced ​​fish, meat, cheese etc. Recognize the shops with the dark blue ‘Бахетле’ logo and the gray facade. Do you have any questions buying groceries in Russia? Comments? Ideas for other topics/guides for my next blog post?